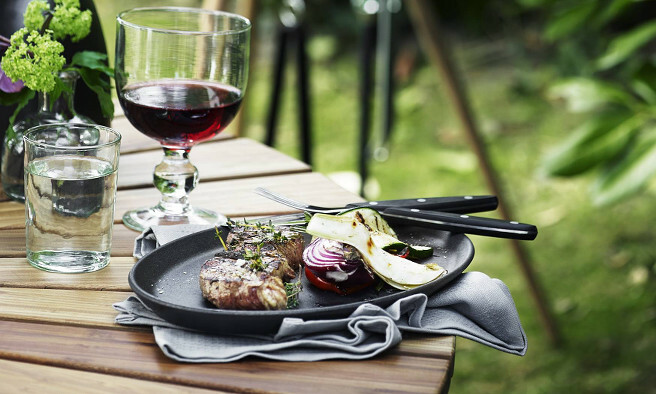 Morsø Grill Platter The Morso Grill platter is made of powder coated enameled cast iron and is perfect for keeping grilled meats and other dishes sizzling hot. 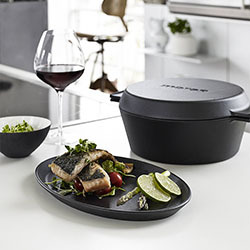 The platter is oval and has a subtle slope that collects meat juices so that your grilled foods remain crisp and fresh tasting. The platter is elegant and suitable for any table, whether brought into the home or on the barbeque table outside.